Your portable Fire Extinguishers should meet the I.S 291:2015 standard, are yours? 1. Only certain types of extinguishers qualify: This version only relates to fire extinguishers fitted with a suitable pressure relief device which eliminates potential injury or death from an exploding fire extinguisher as a result of overheating or pressurisation. 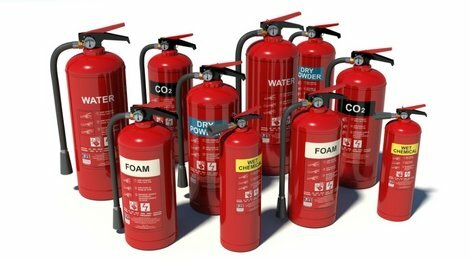 It also only covers water-based, foam, powder, carbon dioxide and wet chemical portable fire extinguishers. 2. Training is key: Company training in the use of fire extinguishers is an important part of compliance with fire safety management policy. 3. Monthly inspections: You should visually inspect your portable fire extinguishers monthly – using our checklist. Should a deficiency be revealed or if the unit has been used, it should be withdrawn from service immediately and you should call us (029-71288). 4. Annual discharge needed: One third of all of the fire extinguishers should be discharged every year so that at the end of the third year 100% of your extinguishers will have been tested by discharge. 5. Age applies: Water, foam, wet chemical and dry powder portable fire extinguishers which are over 10 years old no longer comply with the new standard. 6. Minimum number should be provided: at your premises regardless of whether or not fixed systems such as sprinklers, automatic suppression systems, fire hose reels etc. are also provided. 7. Maintain your equipment regularly: All portable fire extinguishers should be maintained at intervals not exceeding 12 months (plus or minus one month). During maintenance visits, all units will be inspected and maintained in accordance with the standard. This ensures that they are operating affectively and safely and to determine if any repair or replacement is necessary. If you feel your portable fire extinguishers could be at risk of not meeting Irish standards please do not hesitate to contact us on 029-71288.